Hugh Jackman is awesome. Besides being the sexiest man alive, the Aussie actor appreciates his fans. So much so, in fact, that he bought a whole mess of them breakfast on Monday. A receipt obtained by TMZ shows that Hugh Jackman spent $4,308.87 at the Paradise Bakery in Tempe, Arizona to feed about 800 of his loyal fans. The group had camped out in front of the theater the day before Monday’s big premiere of Wolverine and as a thank you Hugh Jackman bought 67 breakfast trays and 80 gallons of coffee. This act of kindness wasn’t totally random however. On Sunday Jackman heard about the fans and promised to buy them breakfast the next day; he placed the order Sunday night. Being the mellow and laid back star that he is, Hugh Jackman kept things easy and casual with platters of bagels, croissants, and muffins. I don’t know about you, but I was more surprised by this next story than I was by Hugh Jackman spending over $43,000 on his fans. 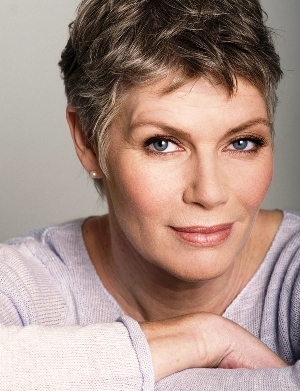 At 51 years of age, actress Kelly McGillis has come to terms with her sexuality and has come out as a lesbian. She’s in a “whole different phase” of her life she says. She went on to discuss how her orientation has been an issue since she was a little girl, but she now finally feels ready and able to accept it and move forward. previous post: When Is Mother’s Day 2009? It’ll Be Here Before You Know It! 50 queries in 0.588 seconds.